Halima El Nile in the mares paddock of Kauber Platte Stud. 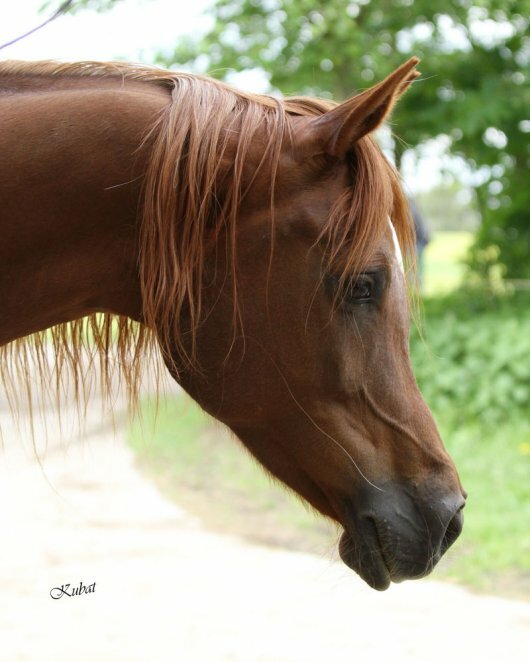 The chestnut mare Halima El Nile was born in 1987 at the stud of the Kübe family. Her dam Bint Bint El Nil descends - just like Idrees - from the El Zahraa mare Bint El Nil. By the time Halima El Nile died in 2009, she had given Kauber Platte Stud four daughters. They have inherited from their mother not only the special nature but also the breathtaking movements. KP Hakeema of the Halima El Nile line (KP Mokeel x Halima El Nile).